Motorcyclists are about five more times likely to be injured in an accident than passengers in a car. According to the National Highway Transportation Safety Administration, older riders appear to sustain more serious injuries than their younger counterparts. A motorcycle injury may affect you for the rest of your life. After an accident, you need a lawyer to protect your rights and see to your interests. In New Jersey, your motorcycle policy does not carry personal injury protection (PIP) or medical expense benefits. You will have to use your health coverage. It is important to seek an attorney right away to ensure that the medical providers are properly billing the insurance companies. Additionally, you may be entitled to monetary compensation from the other driver’s insurance. Many times, the other person’s insurance company will make a small settlement offer. We have seen clients come into our office with offers of $100, $500, and up to $1,000. If you take this money, you will not be able to seek further money. We have seen people actually take the money believing that they were simply accepting assistance in paying medical bills and that their claim for personal injury would go further later. This is incorrect. To ensure that you obtain maximum recovery, you should immediately talk to an attorney before you take any money. Accepting money before you are done with treatment is a huge mistake, so is accepting money before you talk to an attorney. Especially in motorcycle accidents, police reports may lay all or some of the blame on the motorcyclist. Unfortunately, this fact is from an incorrect perception of motorcycle riders. An attorney can assist you in ensuring that the police report accurately reflects the statements of the parties at the scene and the happening of the accident. Furthermore, an attorney can help preserve the evidence that will be necessary for trial, should that necessity arise. The sooner you speak with an attorney, the sooner you will know what your risks are. According to the National Highway Safety Transportation Commission, one out of every eight fatalities on the road involves a collision between a personal vehicle and a commercial 18-wheeler. In 86 percent of the cases, the person killed is the driver or passengers of the other vehicle. Collisions with commercial trucks also cause a high percentage of serious injuries every year. There are many unique factors at play in a collision between a personal vehicle and a semi-truck that puts the driver of a car, motorcycle, or pick-up truck at a serious disadvantage. Speeding, use of alcohol or drugs, and failure to yield right of way to smaller vehicles on the part of the driver. While negligence is definitely a factor in all of these situations, it is often difficult to determine who is actually at fault. For example, the sleep-deprived driver may have chosen to drive knowing the risk it entailed. Perhaps he or she hadn’t slept in more than a day, but decided to drive anyway so as not to get behind schedule. The driver’s immediate supervisor may have also ordered him or her to keep driving despite protests that it was not safe. The same situation often plays out when commercial loads are overweight. The situation gets even more challenging when it comes to mechanical failure. The fault may lie with the manufacturer, the mechanic, or the trucking company itself for not requiring higher safety standards. It is also important to keep in mind that trucking companies expect personal injury and wrongful death lawsuits. They prepare for the inevitable legal action by hiring a team of experienced and aggressive attorneys to defend them, even when they know they are wrong. It should come as no surprise that many people involved in an accident with a truck feel intimidated by the company’s lawyers. MANY TIMES THE TRUCKING COMPANY’S LAWYER COMES TO THE SCENE OF THE ACCIDENT! Shouldn’t you have someone looking out for you? If you’re struggling with medical expenses, lost wages, or expenses related to the loss of a loved one, you do not need the stress of dealing with the insurance companies and trucking companies. Not only will a Harrell, Smith & Williams help gather evidence in your case, we will aggressively fight the other party for your right to full and fair compensation in light of your injuries or emotional trauma. Every business has a responsibility to ensure that their property is safe for the people they invite in. Obviously, we want businesses to make money, but part of the deal in allowing them to do so is that they make sure it is safe for everyone in their store. Every business owner is aware of this requirement. However, sometimes safety takes a back seat to profit. 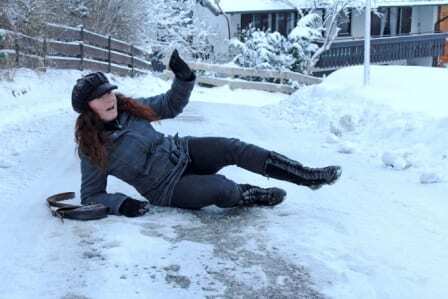 If you trip or slip and fall, a lawyer can help you prove the fault of the business. 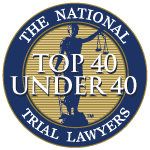 This is because the right lawyer is fully aware of the myriad of implications (as well as complications) regarding ‘premises liability’ cases, which covers all trip and fall accidents. We have all the tools to prove that the property owner did not meet all of their legal obligations in ensuring your safety while on the premises. Although most people belive if they fall on the property of another, they are entitled to recovery; this is not the case. You must prove two things to show liability in a trip or slip and fall: 1. That you fell on a dangerous condition; and 2. That the defendant knew or should have known of the condition. Some examples of what we have seen in our practice are wet floors. It is important that if you slip and fall on a wet floor, you look around to discover what you slipped on. Was it water? Was it product? What was it? Additionally, see where the liquid was coming from. Was it from a spilled bottle? Was it from a freezer? Furthermore, look to see if there was an employee near the area. Was he or she cleaning? Did they put up warnings about the condition? Once you establish that there was a dangerous condition and that the business knew or should have known of it, the business then has to act reasonable. It is not necessary that the business foresee every possible scenario that arises, only that they act reasonable under the circumstances. We aggressively seek the defendant’s own policies and procedures to see if they violated them in treating the area. We look at industry standards and at times obtain experts to establish what that industry standard is in order to show that the business failed to live up to it. The bottom line is the difficulty in trying to take on a business for a trip and fall accident alone. We can help save you both time and money and get you compensated for any injuries, lost work, and other compensatory damages.